We’ve already covered one of Nvidia’s biggest PC/Gaming centric CES 2018 announcements today; the introduction of the Big Format Gaming Displays by hardware partners, due this spring. 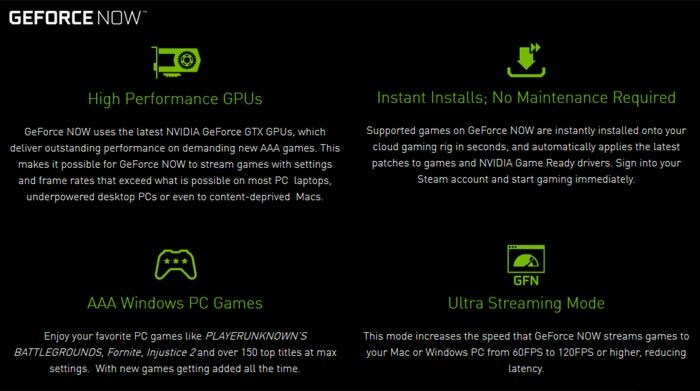 However Nvidia had some other interesting announcements to do with gaming, in particular to do with its GeForce NOW streaming service and its GeForce Experience PC gaming accessory software. This service launched for Macs last summer and is at long last launching today on PC, as a free beta. To sum up the offering “GeForce NOW connects gamers to their library of PC games from some of the top digital stores,” and allows you to play the games on any PC with a good internet connection (25Mbps or better) at up to 1080p and 120Hz. It’s easy to get started, suggests Nvidia. All you have to do is install the GeForce NOW app, then log in and install the games you already own from the list of supported titles onto your virtual GeForce NOW PC. All patching, game configuring and driver updating is handled automatically by the GeForce NOW infrastructure, and games take just 30 seconds to install. Conveniently, save games, achievements and so on are synced with the digital game platforms so you can keep your progress and so on. Examples of usage include applying the retro themed filter to your favourite WWII FPS game, or on a more serious note helping people who are colour-blind to recognise different colours – sometimes that’s important. Then there’s night mode, which reduces blue light so you can get off to sleep quicker after a gaming night. Nvidia says it has “integrated Freestyle at the driver level for seamless compatibility with games”. 100 games are supported at launch time. If you like to tinker with Ansel, there are, similarly to above, new photo filters to apply with the ability to apply several filters to get the games action shots looking just how you would like. Last but not least, ShadowPlay Highlights support has been added to Fortnite Battle Royale, Crossout, Elex, and Jue Di Qiu Sheng. 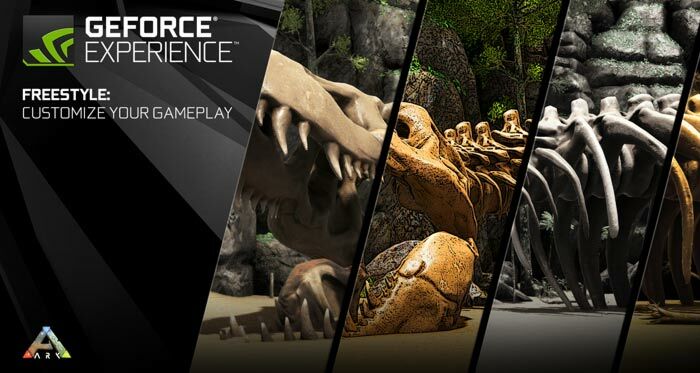 Nvidia will make available the above settings within the latest GeForce Experience app (release 3.12) and Game Ready Driver (release 390) later today. You can enable them via the Experimental Features from within GeForce Experience settings. 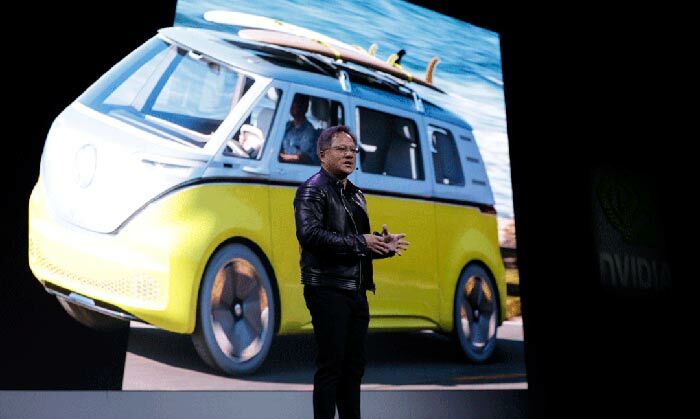 For those interested in all things Nvidia, the green team’s AI and automotive efforts for example, there is quite a lot more CES 2018 news available on the official Nvidia blog concerning these business segments. You know how rich people frequently become quite eccentric and do odd things with their money? I keep getting the feeling that all of this success and revenue is doing the same to nVidia. I don't know anyone who particularly needed Freestyle, (for the record, The Forest did it already and I'm very sure it was not the only game) but they give us these features anyway. I'm sure this Cloud thing could do well in a South Korean cyber cafe but here in backwards land I'd rather hold the tech myself. I myself use reshade in a lot games, most developers use an awful tint (probably to help with aliasing along with AA techniques) that makes games look blurred, colourless & soft. Adding a bit of colouring & sharpening can make things look so much better, especially at higher resolutions where there's less need to combat aliasing. Am I missing something here? You have a lowish spec PC and you're playing games using a gaming machine that lives in the fluffy rainy thing. We know from a recent Hexus article that there's a lot of latency in a modern PC and only high end gaming machines have low latencies. So, you're using a laptop to do this using hotel wifi. You seriously mean to tell me that the 200ms latency in your low spec PC, plus the latency of the wifi / mesh system plus the latency of the internet connection which will probably be too rubbishrubbishrubbishrubbish to do this on anyway isn't going to add up to a game destroying 1/3rd of a second total latency? Yeh you might have fibre at home with a 30ms latency but we normally game using decent spec PCs where latency isn't a big issue. Surely on lower spec devices it is going to present a problem and all you need is someone in the neighbourhood downloading a whole bunch of Hilary pr0n and you're screwed. If you do this, you're going to have to invest heavily in a very good internet connection, a high spec router and you'll probably want to cable your PC in. Hell, once you've done all that you might as well have just bought a decent gaming PC and not had all the potential issues. I wonder how long it'll be before traffic shaping by BT Wholesale destroys your ping? I somehow doubt they'll be prioritising your game streaming over their high paying business customers who are busy making and distributing Clinton based content.